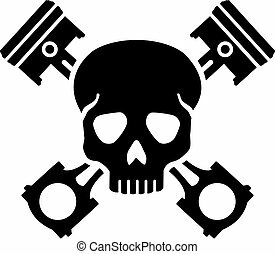 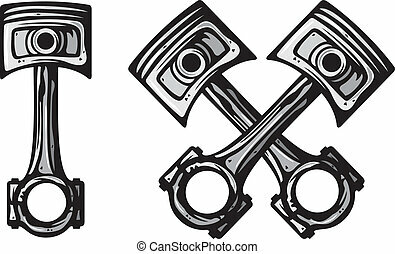 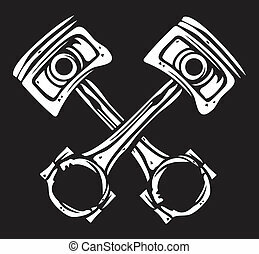 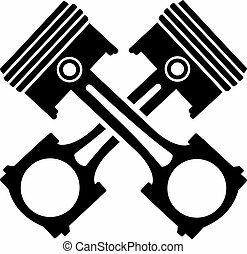 Crossed engine pistons icon flat. 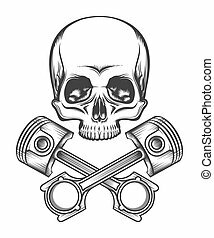 Human skull and crossed engine pistons. 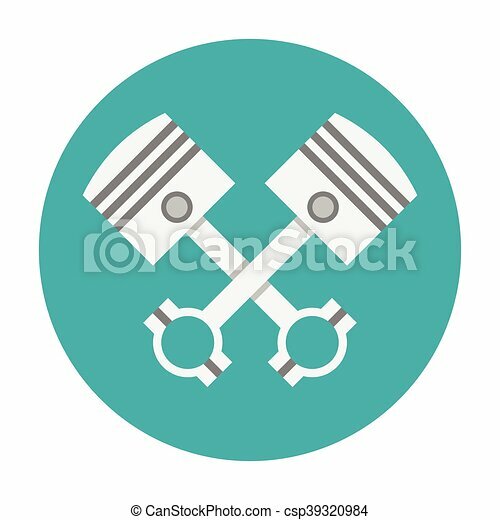 Isolated on white vector illustration. 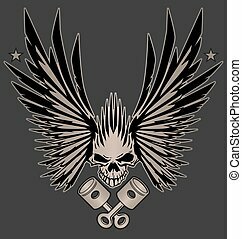 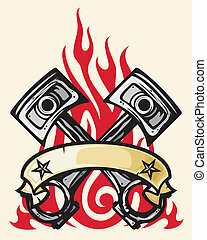 Awesome winged skull with crossed pistons vector design.